When viewed from the air, PEI?s landscape is fondly described as a patchwork quilt of green, red and gold, floating on a sea of blue. The province?s largest industry is agriculture and the sweat and toil and pride of farming is shared by generations of farm families. On such a small island, land is precious, and well cared for. For various reasons including historical, Islanders resent being told what to do with their land. Various provincial governments have avoided implementing the recommendations of land use commissions, knowing it would be political suicide. 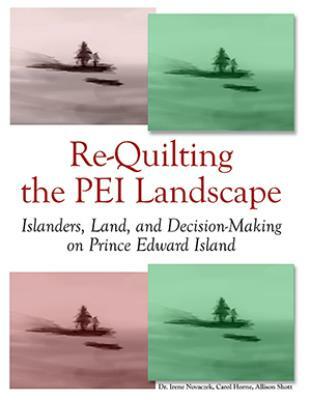 This book examines this political inertia around making decisions on land use on PEI, and delivers thoughtful recommendations on finally moving forward.